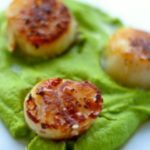 Perfectly Seared Scallops With Parmesan Pea Purée. 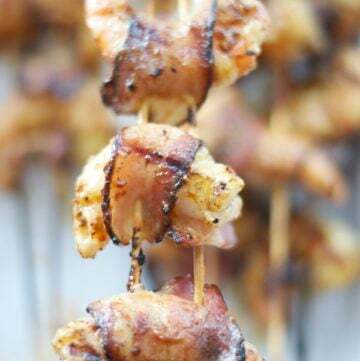 This delicious and healthy recipe is super easy to make and can be ready in just 20 minutes. A homemade dish the entire family can enjoy. Pan-seared scallops are the best, especially because they have that nice burnt, brown color to it. If you like seafood, then this recipe is an easy way to cook a fabulous family dinner in only 20 minutes. My family and I loved it. 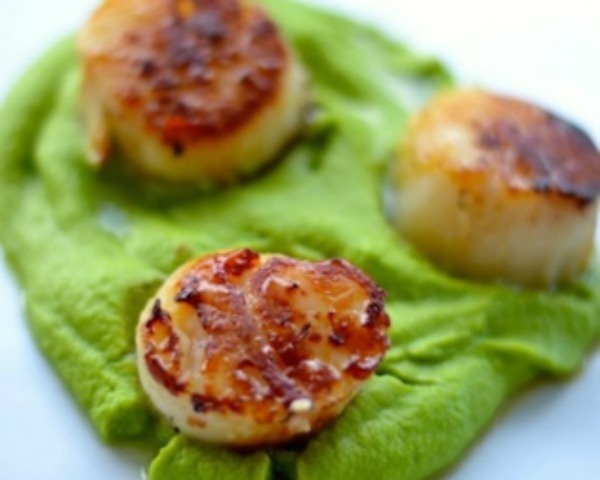 The parmesan pea purée goes so perfect with the seared scallops. You will be surprised to know you just need 4 ingredients to make this pea purée, and it tastes so delicious. You can make it with fresh or frozen peas. You can also serve this Perfectly Seared Scallops With Parmesan Pea Purée with a little lemon juice. This is such a fancy looking meal but it is very easy to make. Impress your family and friends and cook it for dinner. If you are interested in other easy to make recipes please see my Cauliflower Risotto With Grilled Shrimp. I love homemade recipes made with fresh and high quality ingredients. I really hope you enjoy my recipes, and please let me know if you have any questions. Your comments and suggestions are greatly appreciated. 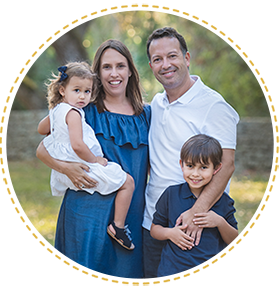 I am a mom blogger who loves to share ideas for a healthy family lifestyle. Most of my recipes are very easy to make and I like to use high quality ingredients. Perfect dinner recipe for seafood lovers. Healthy, homemade, and ready in 20 minutes. 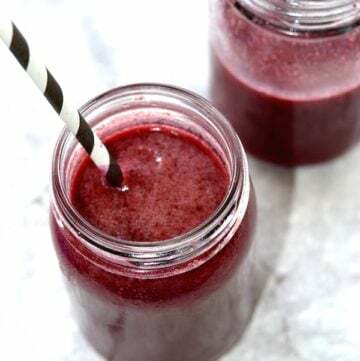 Enjoy a wonderful homemade family recipe. In a large pan, heat a little olive. Season the scallops with salt and pepper to taste. Add the scallops in medium-high heat and sear for about one minute on each side. Add the butter and continue to cook for an additional minute or two on each side until they turn golden brown and remove from the heat. Separately, in a small-medium pan, boil the peas for 3-5 minutes, drain, and place in a high speed blender. Add the parmesan cheese, a couple of tablespoons olive oil, salt and pepper to taste and blend to a purée consistency. You can add a little bit of water if needed. Serve the purée first and place a few scallops on top. Add a little lemon juice if you like.